Billboard Jazz Charts Stats: #1 Jazz Albums, #1 Traditional Jazz Albums, #44 Top Album Sales Across All Genres, #11 Independent Albums, #1 Heatseekers! 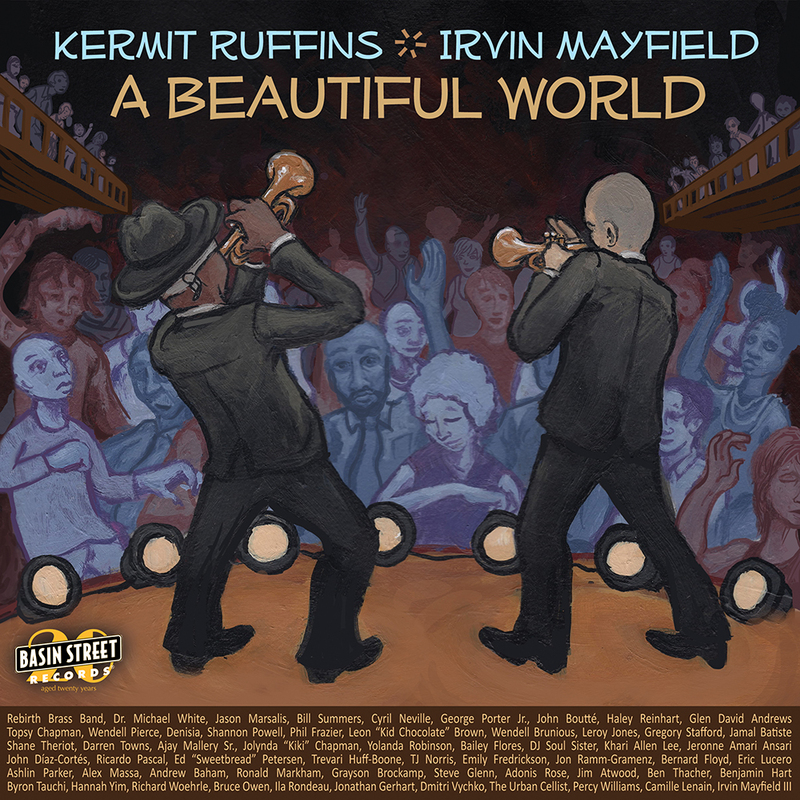 A Beautiful World is a collaboration between two friends, New Orleans trumpeters Kermit Ruffins & Irvin Mayfield, featuring over 50 musicians in four configurations built around a jazz structure: big band, traditional jazz marching band, chamber orchestra and an amended funk ensemble. 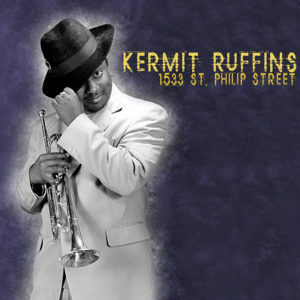 With the assistance of the New Orleans Convention and Visitor’s Bureau, the album celebrates the spirit of Basin Street Records, a label that has been releasing and promoting New Orleans music for nearly twenty years, by highlighting two of its recording artists who have been with the label since the beginning. 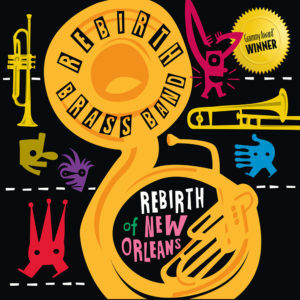 Other Basin Street Records joined the duo to represent what New Orleans music is about: The king of New Orleans brass, Rebirth Brass Band; the professorial clarinetist Dr. Michael White; the youngest of New Orleans First Family of Jazz, Jason Marsalis; and world-renowned percussionist, Bill Summers. Other notable featured artists include: Haley Reinhart of The Voice, Cyril Neville (of the Meters and Neville Brothers), New Orleans bass legend George Porter Jr. (of The Meters and countless other bands), Tremé-crooner John Boutté, the inimitable and monstrous voice of Glen David Andrews, The King of Tremé Shannon Powell, a nine-piece string ensemble, and the silky-smooth spoken word bass of New Orleans-born actor Wendell Pierce (USA’s Suits, HBO’s The Wire, HBO’s Tremé). A Beautiful World seeks to redefine New Orleans music by providing the listener with mostly new, original music that breaches various genres all related to the roots of New Orleans, a feat that could only be accomplished by bringing in such a wide variety of talent, young and old. 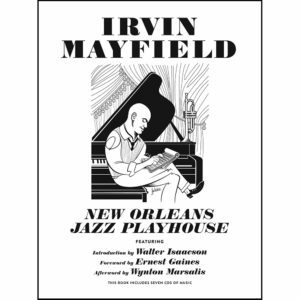 With Mayfield at the producing helm, the listener is treated to the familiar big band and traditional jazz sounds that launched Ruffins to local stardom over twenty years ago with lushly-orchestrated versions of tracks like “Good Morning New Orleans”, “Drop Me Off In New Orleans”, and “When The Saints Go Marching In”. 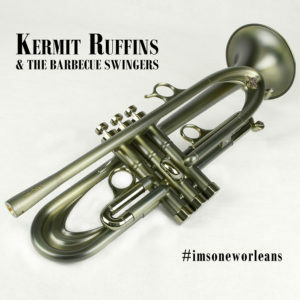 Kermit’s roots with Rebirth Brass Band are not ignored with a “Do Whatcha Wanna” interlude. 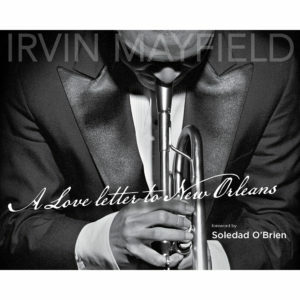 Mayfield brings the listener forward in time to a different part of New Orleans musical history with several tracks reminiscent of the originators of New Orleans funk, The Meters, and enlisted the help of two of the actual members to make sure that sound was authentic on tracks like “Be My Lady” and “Good Life”. A nod is also made to one of the most influential figures in New Orleans musical history, arranger/producer/musician Allen Toussaint, with a song named in his honor and about the reverence that so many New Orleans musicians have for the man. 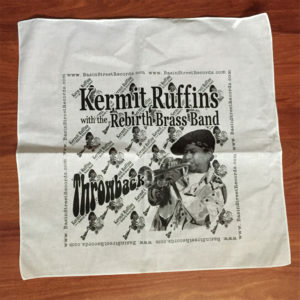 The most modern format of New Orleans music, namely bounce, a brand of New Orleans-grown hip-hop is also represented with “Trumpet Bounce”. Where A Beautiful World may catch the casual listener off-guard is in its vision of what New Orleans music will grow into with the decidedly pop sounds of the classic Bobby McFerrin tune “Don’t Worry Be Happy” featuring Jason Marsalis in his singing debut (and also playing a plethora of percussion instruments) along with the unrivaled vocal combination of Cyril Neville, Haley Reinhart, and Glen David Andrews. The true gem of the album, “Beautiful World”, sets the precedent for the versatility and creativity of New Orleans not just as a city of jazz music, but simply as a city of good music. 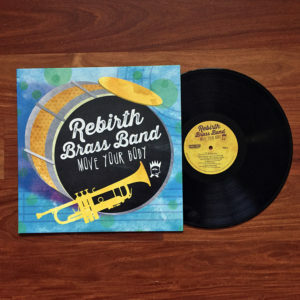 The song not only conveys a messge of hope in tumultuous times à la Louis Armstrong’s “What A Wonderful World”, but it also breaths fresh air into the New Orleans music scene. A Beautiful World is available now on all digital platforms and on CD at your local record store and from BasinStreetRecords.com. 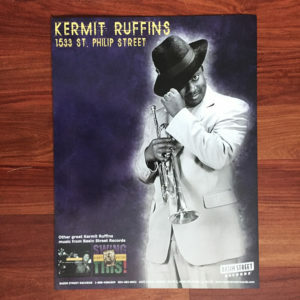 A limited edition Vinyl version (which includes a digital download) will also be available from BasinStreetRecords.com and in New Orleans record stores exclusively (come visit to pick one up). As we approached two decades we knew we wanted to have a big year that reflected on the past and kicked off our future. 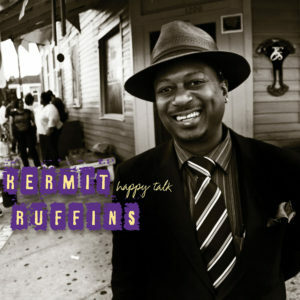 This album is the centerpiece marking our 20th anniversary and the 300th of the city of New Orleans. With the tremendous support of the New Orleans Convention and Visitors Bureau we asked our two most recorded artists, who have performed periodically with each other for 25 years, to collaborate and bring in dozens of great musicians to help. Irvin and Kermit bring out the best in the other, and we get to witness the result in this outstanding record! They say time flies when you are having fun and this has been the trip of a lifetime. We can’t wait for the next twenty and we hope you join us in our love and appreciation for the music and traditions of this great city! Thank you for buying music!